The critically acclaimed Smithsonian Jazz Masterworks Orchestra, like jazz itself, is a living treasure. It's also a tight eighteen-piece ensemble that swings together in one hot, cool, interwoven voice until a stellar soloist steps out front for a moment or a duet or trio hints at all of the small bands inside the big band. The SJMO plays jazz beginning to end, from its origins to the classics to new compositions commissioned for the orchestra. 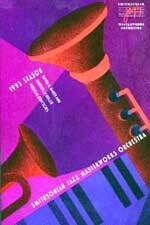 No other jazz big band can match the SJMO for artistic integrity, excitement and musical breadth and depth. The SJMO is available for local, regional, national and international bookings for concerts, residencies, festivals, corporate events, dances, and educational events. To inquire or discuss your special engagement requirements contact the orchestra's offices in Washington, D.C. at (202) 633-3587. For U.S events contact our U.S. booking representative: SRO Artists, Inc., 6629 University Ave., Suite 206 Middleton, WI 53562, Tel 608-664-8160, Fax 608-664-8161, websitewww.sroartists.com.